The president greenlighted the energy market reform, Gazprom commented in its favor on the decision of the Stockholm arbitration tribunal, while the Ukrainian government ahead of the land reform instructed the National Police to verify all land deals - these are this week’s main economic news. One of the most important events this week was the signing by President Petro Poroshenko of the revolutionary law On the Electricity Market, adopted by Parliament April 13, 2017. The law provides for the creation of a competitive and more efficient electricity market, and also meets the requirements of the European Union. In addition, the passing of the law is one of the prerequisites for the allocation of the EU’s third tranche of macro-financial assistance totaling EUR 600 million. Household consumers will receive the opportunity to choose their electricity supplier starting 2020, which could reduce market prices and improve the quality of services, due to a tighter competition. Meanwhile, experts fear that electricity prices could soar two- or threefold. By the way, the law will be fully effective only if the schedule of the implementation of its provisions is complied with and necessary subordinate legal acts are adopted in a timely manner. According to the energy expert, Ivan Plachkov, the full-fledged launch of a competitive electricity market requires that the Ukrainian authorities solve the following problems: high level of mutual debts between market participants (about UAH 30 billion), cross-subsidization and the opening of special accounts for electricity suppliers (oblenergos). It is also necessary to monetize subsidies for electricity, water, and central heating, and make more affordable consumer connection to local power grids. It is worth noting that the head of state decided to sign the law publicly, during his visit to Trypilska thermal power plant, controlled by a state-run Centrenergo. Poroshenko said that Japan intended to allocate $40 million for the modernization of the TPP. Meanwhile, Centrenergo started the process of transition of the TPP’s units from deficient anthracite coal to gas brand coal, mined widely in government-controlled Ukraine. 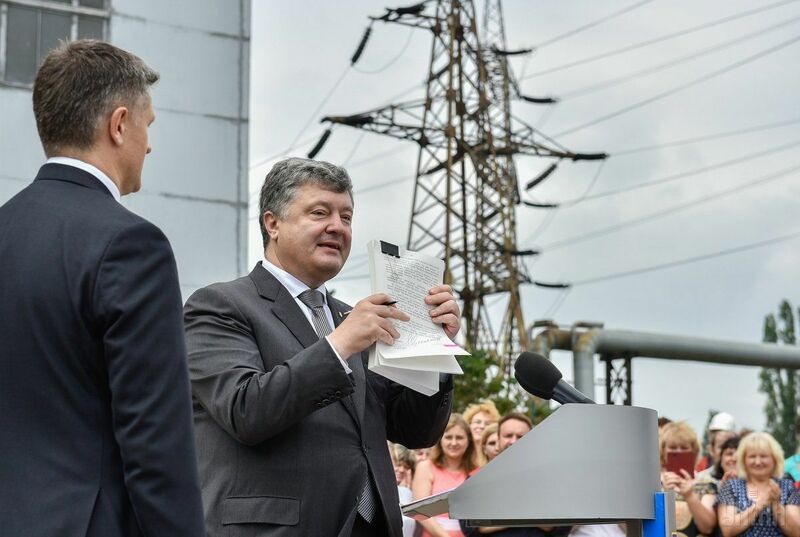 Poroshenko also commented on the situation in the nuclear power industry, noting positive changes in this area. According to the Ukrainian president, the dependence on Russia the aggressor state in terms of nuclear fuel supplies has reduced to 55% from 100% three years ago. "We have diversified nuclear fuel supplies. How much nuclear fuel were we importing [from Russia] three years ago? 100 percent. How much did we receive in 2016? Already 55%. What was the target I set out for 2017? There will be 45%," Poroshenko said, adding that Ukraine will buy the rest of the fuel from the American-Japanese Westinghouse. In the past week Gazprom seemed to have gotten up from the initial knockdown in Stockholm and issued a comment on the decision of the Arbitration Tribunal into its long-running gas dispute with Ukraine’s Naftogaz. As expected, the Russian gas monster believes that the predatory take-or-pay rule in its gas contract with Naftogaz has not in fact been rejected by court. "One issue only was touched upon – saying that the arbitration award canceled the take-or-pay. This is not so, they did not cancel take-or-pay. I will not tell you what the deal is there, but there’s no cancelation of take-or-pay," said Alexander Medvedev, Deputy Chair of Gazprom’s Board. Besides, Gazprom argues that the arbitration award is an interim decision, according to which Ukraine will still have to pay some money to the Russian energy monopoly. Naftogaz CEO Andriy Kobolev refuted Gazprom’s claims: "They are using the term incorrectly. This award is not an interim decision. This is a separate decision. And this decision has already stated clearly that we will not pay for gas that Ukraine did not take (while Russia insists that we pay on a "take-or-pay" basis)." According to Naftogaz estimates, in two or three months, the amount of compensation will become known that Gazprom will have to pay to the Ukrainian company. After all, the Stockholm arbitration tribunal decided to revise the price of gas Ukraine was buying from Gazprom (2011-2015) at a non-market price, and determined that the review should be carried out starting from 2014. 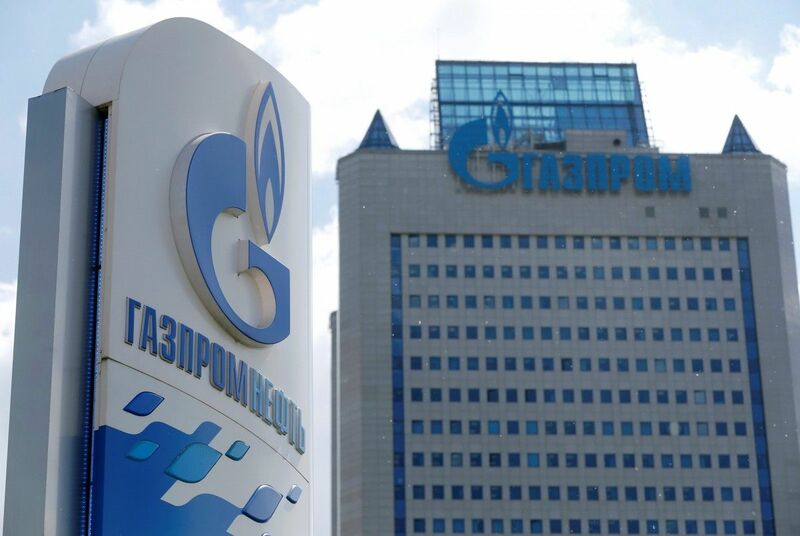 Naftogaz predicts that the compensation that Gazprom will be liable to pay will significantly reduce the amount of the Ukrainian company’s debt to the Russian monopoly. But, as many have learned, Russia does not always comply with the requirements of international courts. The main question is how to make Russia do so. According to Naftogaz, the way out may be filing appeals to European countries, where Gazprom's assets are located, on the enforcement of the Stockholm arbitration award. Commenting on the gas dispute, the Ukrainian president called the arbitration award a “convincing victory of Ukraine” in the process of protecting its national interests, adding that those who signed a notorious 2009 contract with Gazprom should bear political responsibility, accusing them of surrendering the interests of Ukraine. By the way, Gazprom in the current situation tried to make a cunning move, for the first time in a long period inviting Naftogaz for talks in Moscow, to discuss the issue of gas transit to Europe after 2019, when the current contract expires. 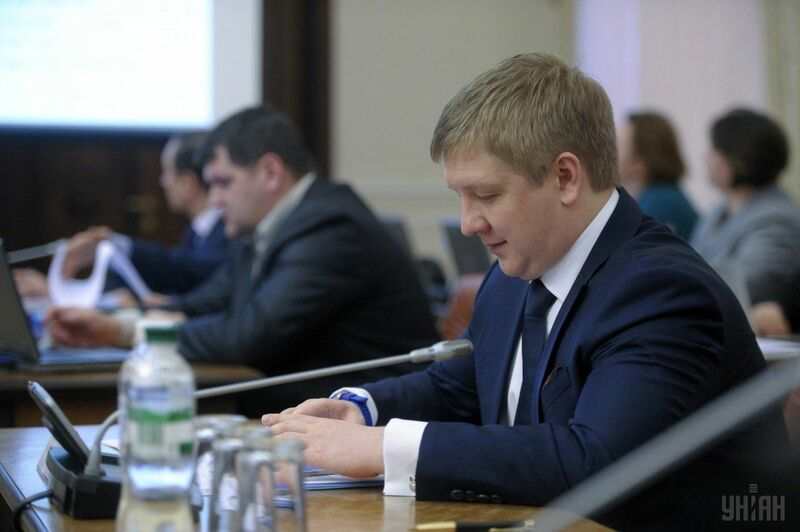 However, Naftogaz declined, saying that negotiations on the territory of Russia are unacceptable. The talks could be conducted in Brussels though, Naftogaz suggested. It should be noted that the Russian gas transit through the Ukrainian gas transportation system over the first five months of 2017 increased by 22% compared to the same period in 2016 - up to 38.26 billion cubic meters, which is a record volume for the last five years. This is a positive trend for Ukraine, as the state-owned operator of the gas transportation system, Ukrtransgaz, earlier estimated that the transit of Russian gas to the EU via Ukraine under 30 bcm will become unprofitable for Ukraine. The authorities are serious about another key transformation – the land reform. This week, Prime Minister Volodymyr Groysman instructed Interior Minister Arsen Avakov to inspect the area of state-owned land management for abuses and corruption, urging him to ensure police monitoring of all land-related transactions to reveal signs of abuse and corruption. The issue of land lease was also raised at the Cabinet meeting June 7. It was decided that the lease rights should be purchased at auctions, which should make the sale of rights transparent and minimize corruption opportunities. 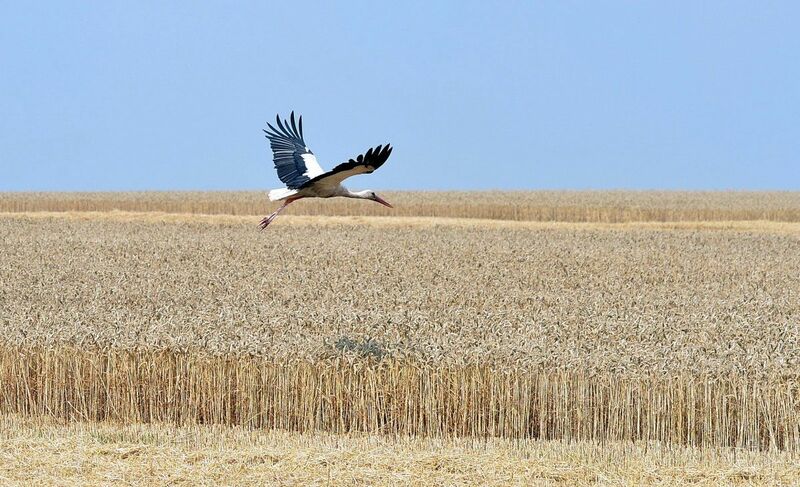 The government adopted a relevant resolution, obliging the State Service for Geodesy, Cartography and Cadaster to allow the lease of Ukrainian farmland solely through auctions. According to the first deputy agrarian minister, Maksym Martyniuk, the resolution establishes that the lease of land plots will be short-term - for a period not exceeding seven years, while the starting price of land plots will be set at a level no less than 8% of their normative and monetary assessment, and previously leased lands will also be re-leased through auctions. "By doing this, we will destroy the scheme where the land plots were divided into 2-hectare pieces without any payment and were withdrawn from state ownership for good," Martyniuk said. According to the government's forecast, the transfer of state-owned farmland for lease will lead to an increase in revenues to local budgets by more than UAH 1 billion by the end of 2018, as the lease through open e-auctions will contribute to the growth of its value. In addition, according to Martyniuk, the development of the mechanism of leasing state lands will help attract investment in the Ukrainian agrarian sector and the development of rural areas. The Prime Minister also noted that big agrarian holdings leasing agricultural land fail to invest in rural infrastructure, adding that the government faces the overripe task of ensuring new jobs and business development in Ukraine’s rural areas. According to the model of reform proposed by the cabinet, only citizens of Ukraine will be entitled to purchase land plots, in case the moratorium is canceled, at the same time the maximum threshold of individual ownership is set at 200 hectares. Groysman also repeatedly stressed that he categorically opposes farmland sales to agri-holdings and foreigners. In the past week, the hryvnia rate to the dollar continued to strengthen, reaching its 5-month high at UAH 26.11 to the dollar. Over the past week, the national currency has strengthened against the dollar by more than 10 kopiykas. The trend allowed the National Bank to enter the interbank market twice this week to buy foreign currency worth a total of almost $92.2 million to increase its international reserves. The increase in reserves to the equivalent of $17.618 billion, which is 3% higher than on May 1, was due to a favorable situation for the domestic exports on the world commodity markets, which allowed the National Bank to buy foreign currency and at the same time not to resist the hryvnia strengthening trend. 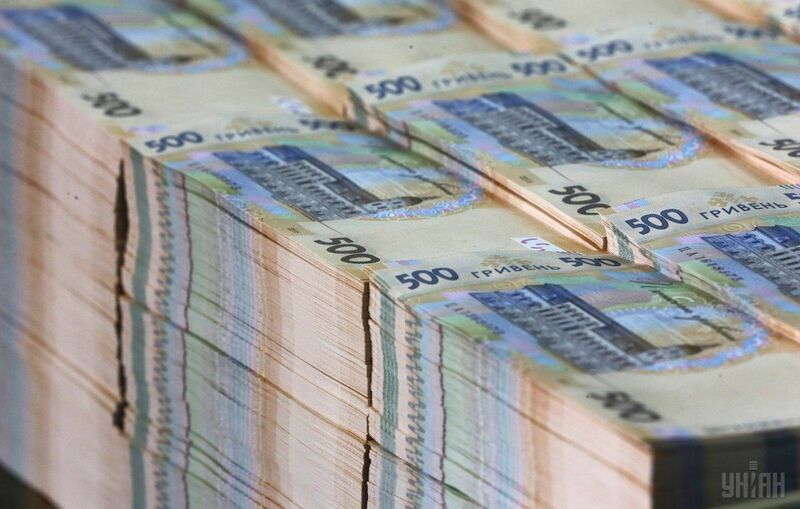 Thus, the net purchase of foreign currency by the NBU in May amounted to $521.2 million. Also, the increase in reserves was provided by proceeds to the government from the placement of foreign currency bonds of internal state loans at $38.1 million and funds received from the European Commission in the amount of EUR 8 million. Deputy Head of the National Bank Dmytro Solohub hastened to inform that the regulator saw the potential for further key rate drop, adding that "this should be consistent with the National Bank's achievement of inflation targets." Solohub recalled that this year the regulator predicts a decrease in inflation at 8% +/- 2 pp, in 2018 - up to 6% +/-2 pp. However, the State Statistics Service of Ukraine spilled a drop of tar, saying that inflation in Ukraine in May accelerated to 1.3% against the previous month and to 13.5% in annual terms. The NBU commented on the data by the State Statistics Committee, saying that the current dynamics of the consumer price index and its components indicates an increase in the risks of higher inflation in 2017 compared to the NBU forecast at 9.1% yoy. The regulator noted that the actual inflation in monthly and annual terms turned out to be higher than the forecast target, which is primarily due to the high growth rates of prices for raw products and the increased influence of administrative factors. At the same time, according to the NBU, the pressure of the fundamental factors was weaker than expected.